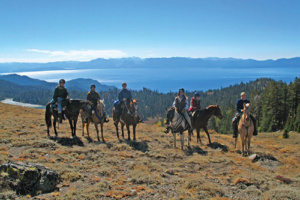 You can help “Keep Tahoe Blue” too! Ride a bike, take the trolley or bus, walk, or carpool. Excessive traffic damages air quality in the Basin and contributes to the decline in Tahoe’s clarity. Before you get in your car, think about how you might be able to consolidate trips…or opt for another mode of transportation. 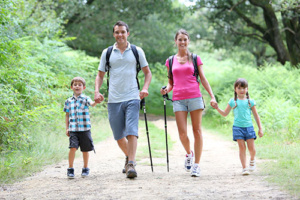 Choose low-impact recreational opportunities. Activities like kayaking, hiking, snowshoeing, and cross-country skiing are lake-friendly, and they let you enjoy the lake in a whole different way. Stay on trails when you hike or bike. Straying from the trail causes erosion. Get educated and involved. 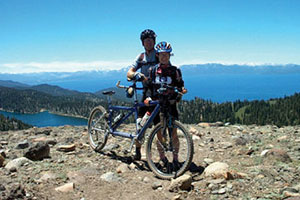 Learning about local environmental issues and regulations is a great way to help keep Lake Tahoe “Blue”. Pick up after your pet. Animal waste contains nutrients that can wash into the lake and contribute to algae growth. Reduce your carbon footprint. New research shows that Lake Tahoe could be vastly impacted by global climate change. Don’t feed the wildlife. Bears, raccoons, coyotes, and especially the Canada geese, grow accustomed to humans, which threatens their natural ability to survive. Place all trash and food in bear-proof containers. Don’t disrupt the natural ecosystem. Non-native plants or animals can damage habitats, particularly if there is no natural predator to keep a species in check. Heed Forest Service signs and warnings. They are there to protect you, the environment, and the wildlife. Read about our specific green programs. Our environmental efforts are continuously being updated and developed, so please check back often.